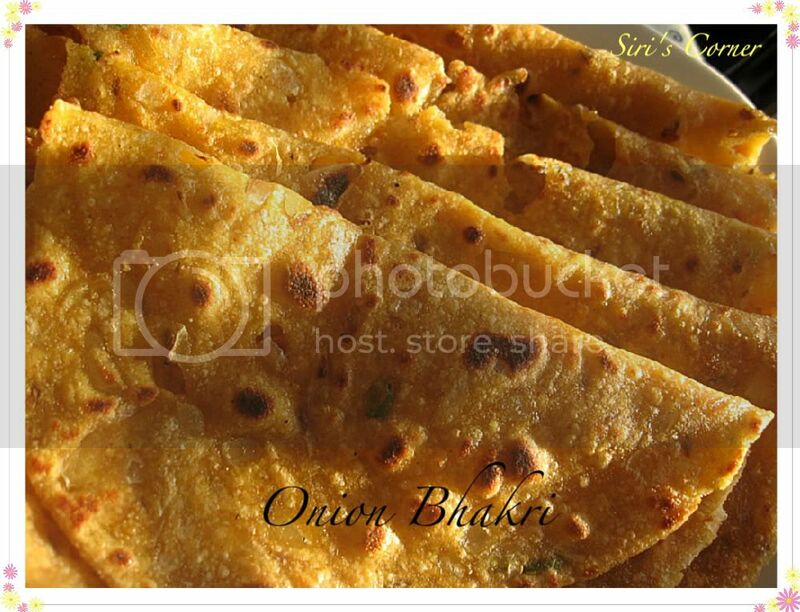 Here is my last and final entry to Valli's Roti Mela - Onion Bhakri. I usually prefer rotis over rice..and am eagerly looking forward for the roundup of Roti Mela! Yeh Yeh! 1. Mix all the ingredients in a bowl and knead with adding water as needed. Set aside for 15-20 mins. 2. Make small balls out of the dough and roll them into rotis. 3. Fold in the ends into its center and turn over to roll it again into a bigger roti. 4. Heat the pan and place the bhakri over it. Cook both sides with oil/butter. 5. Serve warm with curry. For a step-by-step preparation of Bhakris: Click here. 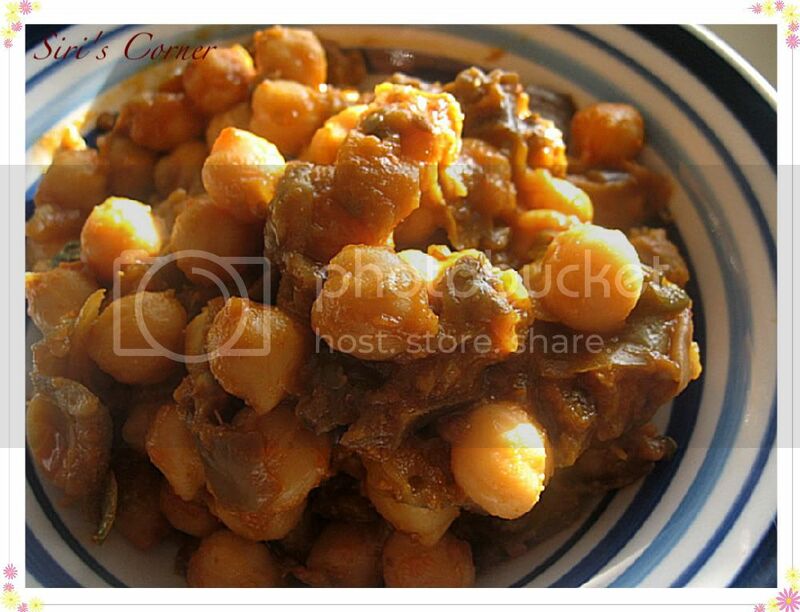 Tried & Tested # 9: Namratha's Spicy Chickpea and Eggplant curry! Nice, Siri. All of you guys are so good at making rotis - and I'm definitely still learning - so looking forward to the round-up too! delicious rotis, siri! All your recipes are yummy and presentation is too good. Siri..those look so yummy..thanks for the lovely entry! this looks delicious :) and so does the chole! Siri, I made these bhakris. They were simply superb. Thanks for the recipe. Superb rotis.Will surely give it a try.